Many years ago, humans and demons lived in harmony. But that unity ended when demons started attacking humans and plotted a mission to unleash Gyumao - an evil demon imprisoned for thousands of years. 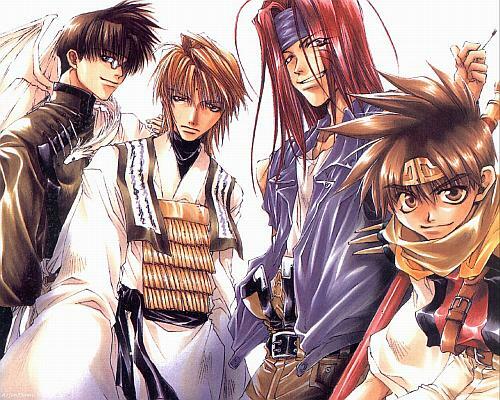 Now, Genjo Sanzo, a rogue priest, must team up with three demons - Sha Gojyo, Son Goku, and Cho Hakkai - and embark on a perilous journey to the west to stop these demons from resurrecting Gyumao and restore the balance between humans and demons on Earth.